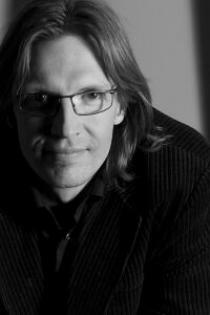 Kaspars Putniņš has been the conductor of the Latvian Radio Choir since 1992. In 1994, he formed the Latvian Radio Chamber Singers, an ensemble of soloists formed from the members of Latvian Radio Choir. He regularly appears as a guest conductor with leading European choirs such as the BBC Singers, RIAS Kammerchor, Netherlands Chamber Choir, Swedish Radio Choir, Netherlands Radio Choir, Estonian Philharmonic Chamber Choir, Flamish Radio Choir and others. He has forged close relationships with many composers in the Baltic States and elsewhere; developing new works whilst also exploring new musical language and expression. These composers include Andris Dzenītis, Maija Einfelde, Mārtiņš Viļums, Gundega Šmite, Toivo Tulev, Lasse Thoresen and Gavin Bryars. Kaspars Putniņš has also initiated several theatrical projects, which involve the participation of his choir, in collaboration with visual and theatre artists. He has conducted at the Lincoln Centre in New York, Muziekgebouw of Amsterdam, Berliner Philharmonie and Konzerthaus, Cité de la musique in Paris, Berwaldhallen in Stockholm, Dresdner Frauenkirche etc. He often lectures and gives master classes internationally. Kaspars Putniņš is the recipient of the Latvian Music Grand Prix and the Latvian Council of Ministers Award for Achievements in Culture and Science.